If you’ve gotten the sense over few weeks that every day seems like an election day, it’s because that sense is basically true. Long past November 6th, we continue to see high drama play out within close races, both here in Texas, and across the country. As analysts continue to assess the ramifications of the 2018 Elections, the Georgia Governor’s race will surely stand out as one of the most important contests in our nation’s history. Democrat Stacey Abrams ended her campaign for governor of Georgia on Friday, lamenting voting irregularities that she said tainted the election but conceding that former Georgia secretary of state Brian Kemp would be declared the winner. Abrams, who had hoped to become the nation’s first elected female African American governor, had worked to force a runoff with Kemp, who as of late Thursday led by 54,801 votes out of 3.9 million cast. Kemp’s 50.22 percent of the tally put the Republican just above the 50 percent-plus-one-vote threshold required to avoid a runoff election in December. Earlier Friday, Abrams was considering filing a separate lawsuit contesting the results and demanding a new election. That would have been based on a provision in Georgia law that allows losing candidates to challenge results. But she said Friday evening that she did not want to gain an office if she had to “scheme” to get it. 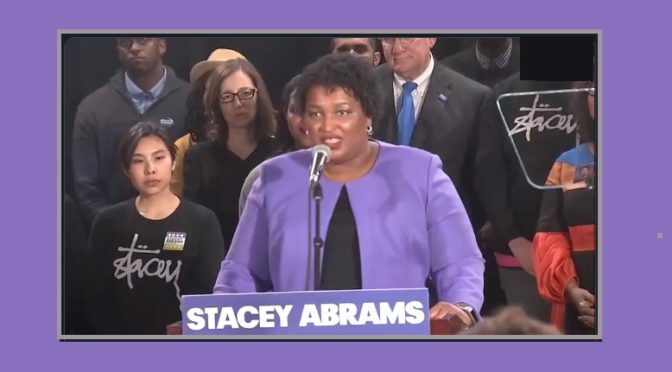 In her speech, Abrams made it clear that she was not giving a speech of concession, but simply acknowledging that her path to victory in the race for Governor was unlikely. But after a career of fighting despicable voter suppression tactics against the state’s minority communities, she vowed to continue the important work of making elections in the state of Georgia representative of all of its citizens. Abrams also got real with her supporters. She spoke out on the many heinous atrocities that Former Secretary of State, now Governor- Elect Brian Kemp employed on Georgians to impede their right to vote. Even as the campaign for Governor ends, Stacey Abrams also announced that she is not done fighting. Even as she pledged to pray for the Governor Elect as he prepares to take his post, Abrams also announced the creation of Fair Fight Georgia, an organization dedicated to the integrity of the state’s electoral process. Candidate Stacey Abrams may not be the next Governor of Georgia, but she has rightly earned the title of Teacher for us all. 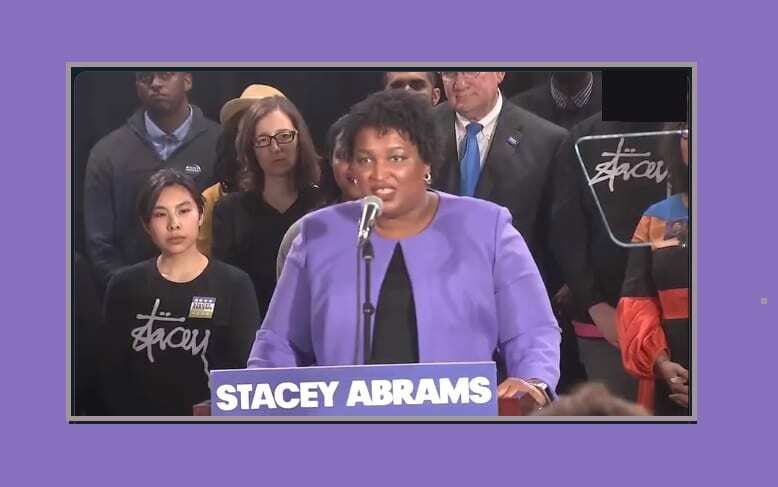 Through her refusal to give in to a system which silences the voices of its citizens, Abrams is now paving the way for better, fairer elections across the United States. Thank you Stacey. Please Fight On.